What happens when kids are still running around mad after dinner, with loads of energy they need to burn off? 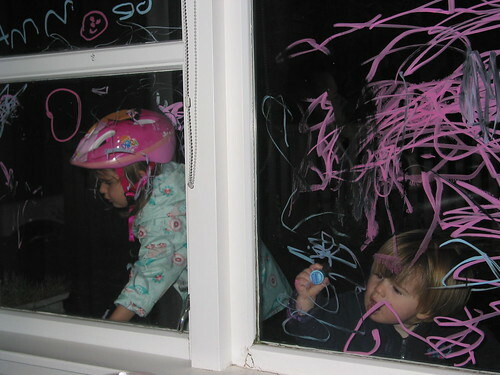 They get chucked outside, rugged up for the weather, to scrawl on the windows with chalk pens and ride bicycles. Could these be the taggers / graffiti artists of the future?